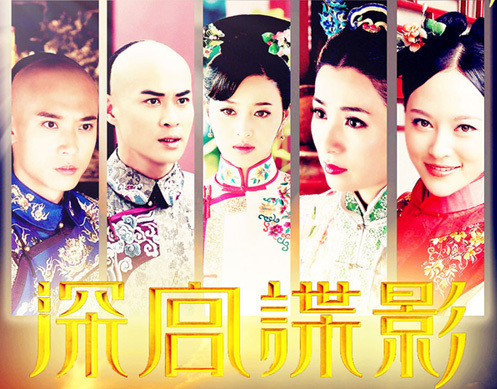 New mainland drama, Mystery in the Palace <深宫谍影> starring Kevin Cheng (郑嘉颖), Gan Tingting (甘婷婷), Michelle Yim (米雪), and Bernice Liu (廖碧兒) will be broadcast on Hunan TV in mainland China on February 8, 2012. A press conference to promote Mystery in the Palace was held in Beijing yesterday, with the attendance of Kevin Cheng, Gan Tingting, Catherine Hung (洪欣), and her husband, Zhang Danfeng (张丹峰). In Mystery in the Palace, Kevin will portray Prince Ge Tai, a forthright character that is skilled as a scholar and martial artist. Meeting Han Xiang (Gan Tingting) by chance and falling in love with her, Ge Tai will take advantage of playing chess with Emperor Kangxi (Ni Qimin) in order to improve his romantic chances with Han Xiang. Get Tai vows to help Han Xiang find out the murderer responsible for her mother’s death. Mystery in the Palace will add a new spin upon dramas that focus on family love, friendship, and love. Jayne: Kevin sounds quite grounded in this interview with Guangzhou Daily. On another note, a recent tabloid claimed that Charmaine Sheh visited Kevin Cheng at his hotel, sparking reconciliation rumors once again! However, no photographs were taken, so I didn’t post the article because I suspect it may be wishful thinking on the reporter’s part! My feeling is this series will come… and … go. So you don’t think it will get popular?? It looks like it will be a decent series, but lets see…I am tired of Qing dynasty series and wished that they can make series set in other dynasties. Haven’t seen Catherine Hung in a while. The main actress looks familiar. Was she Leo’s 2nd wife in HZGG 3? Yea, I think that is her. Her name is Qin Lan. No wonder she looked so familiar. It is great to see her again. I haven’t seen Catherine and Zhang Dan Feng in awhile so it is also great to see them all again.. Hope that the plot is good. No it’s not Qin Lan. It has been stated in the article that she’s Gan Ting Ting. ya she is Gan Ting Ting.. act in the series of 水浒传..
Is Charmaine that “strong-headed”? I think she is in a way. Maybe Niki Chow is better then! So, Kevin prefer smart woman who pretend to be stupid? Did he say that? No lar!! But smart woman do know when to pretend to be a bit dumb for the sake of the man. well, deep down, most men want their women to be lower than them 🙂 especially successful men. Maybe he meant strong-headed as in unreasonable like “my sassy girlfrend”. His last interview that jayne translated was “only smart women need apply” so I don’t think he changed to liking simple-minded girls that quickly. Charmaine is strong-minded but she is also very mature and compromising. As for the hotel story, the tabloids must be very desperate to run that story w/ no juicy pictures to back it up. Does anyone know who is going to be in bu bu jing xin 2? Kevin and who is the other cast. Is it the original cast? Not confirmed yet but I expect most of the leading original cast to be in it. alright then, i hope the original cast is going to be in it! OMG!! Is it true that there will be Bu Bu Jing Xin 2?? AHhhhhh I cant wait!! i know right, number 1 was heaps good, hopefully 2 will be the same. Don’t get your hopes up too high or else you will be disappointed. I find many mainland actresses have pretty (too hard to believe) they’re free of surgical operation cute face. Maybe there are just too many good genes in China hence pretty girls production is huge? Well Veejay, to support your claim, China does have 1 billion population, but I do believe that they mostly have some enhancement. Well, these days you really wonder when you see someone who is pretty, are they natural or not? I think most actresses have had some kinds of enchancements, but some may be minor while some are really really major(like Viann for example). i dont think all mainland actress are all fake like viann, i find fan bing bing, ruby lin, liu shi shi, yang mi and tang Yan. all beautiful and they are not fake. so it just depends on which actress. OH well,I don’t find enhancement is necessary unless you’ve encountered something horrible on the face (such as accident for example). like the singaporean singers (by2),I bet these 2 have had underwear major surgical operation for looking extremely different as compare to their first appearance on tv. Ok, the actress is GanTingTing not QIn Lan… Sorry for the mistake… She really looks like Qin lan in the above picture with Kevin. opps forgot that ruby is not from china, but have seen teenage photos of the girls i mentioned and they still have the same face and all. you are right that Sun Fei Fei is indeed beautiful and natural. Yeah, mainland actresses are indeed way superior in the look department compared to TVB actresses with many who can’t even act properly. Too bad mainland storylines tend to be draggy with alot of unnecessary elements incorporated. i was a TVB fan for so long and only recently im watching mainland dramas and they are actually really good. and im re-watching heaps of them as well. Well there are draggy series in every country and company. I have seen many TVB series that are really draggy too. There are a number of really boring and draggy series from CHina, but there are good ones too. You just have to watch the righr ones. have you guys noticed but the girl with kevin in the first photo, she looks kind of like fan bing bing only first glance. She looks like some chinese barbie doll to me. yeah, I thought it was fan bing bing too lol. Hmmm…does anyone prefer half bald Kevin to GJ’s Kevin? Yea, she does and she also looks sort of like Qin Lan too so I mistakenly thought that she was Qin Lan at first. After BBJX looks like Kevin has fallen in love with Chaina and its peoples since he is thinking of purchasing a house there. Does it mean he intends to eventually live there and raise a family? Thus, as you said, Funn, bye-bye to Charmaine. If a series is shown over Hunan TV can we get it in Malaysia? Can someone please enlighten me? Yes of course I think because we are showing BBJX over here on CH310 ASTRO. 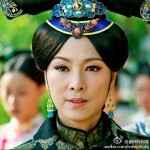 Next up is Ruby Lin’s series, that one Qin Shi Huang Fei. Was BBJX over at Hunan TV? Yes? Then yes is the answer. Get ASTRO. I am living in Malaysia and I have Hunan TV. You will just have to install a satelite. psps.might be illegal in West Malaysia. opps i mean to say east. Definitely illegal. How many channels you’re getting? You’re in East Msia? No wonder!! Is the Hunan Tv have Cantonese version ,do this drama have wuxia element? perhaps he’ll end up marrying a mainland girl after all. I can’t tell Chinese dramas apart anymore. They all sound the same. Thanks for the info, ladies, hope to catch up with the series as I’ve got ch. 310 just added on. I am very happy that Kevin has done so well for himself. He seems more self-assured than before and so positive in his outlook that harbingers well for him. I wonder what he meant when he said that he did not any “rumours” concerning him? I do think perhaps he already has someone in mind. Ch 310 is only interested in showing uber famous series and see how long it took to air BBJX and now the ruby lin series. Unless this series becomes uber famous, I am afraid we gotta pay to buy the DVD. have u guys ever buy pirated china dvd movie? they are super cheap. I did for some series since it was the only copy that I can find. However, for the really compressed versions, the quality is not that good.But hey, you get what you pay for. Yes, sometime latest originals drama diff to find. Funn, could you please tell me what “uber series” means? Don’t seem to be able to find “uber” in the dictionary. By the way, I like buying and keeping the DVDs although the legal ones are quite expensive. I do that so I can watch them at leisure. Also means REALLY as in uber crazy (really crazy except the really here is really x 1000 sort of really). The China legal ones aren’t that expensive, RM29-90 and above. Thank you. I certainly know what it jolly well means now. I didn’t know there were “China legal ones” but I’d rather get my usual as they’ve got 3 translations, Malay, Chinese and English as you may already know.